This dataset contains the information on the measure “INR For Warfarin and Interacting Anti Infective Medications NQF 0556 (National Quality Forum 0556), which is the Percentage of episodes with an International Normalized Ratio (INR) test performed three to seven days after a newly started interacting anti-infective medication for individuals receiving warfarin. CMS (Centers for Medicare & Medicaid Services) has contracted with FMQAI (Florida’s Medicare Quality Improvement Organization) to provide services for the Medication Measures Special Innovation Project, the purpose of which is to develop measures that can be used to support quality healthcare delivery to Medicare beneficiaries. The project currently has a portfolio of eight NQF-Endorsed measures for the ambulatory care setting, NQF 0543, NQF 0545, NQF 0555, NQF 0556, NQF 1879, NQF 1880, NQF 2362, NQF 2363, NQF 2379, NQF 2467, NQF 2468. 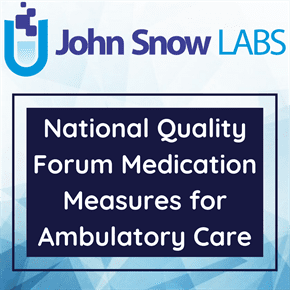 – Measure Description: The measure description for NQF 0555 is the Percentage of episodes with an International Normalized Ratio (INR) test performed three to seven days after a newly started interacting anti-infective medication for individuals receiving warfarin. – Clarified unit of analysis and added optional physician group attribution algorithm. – Updated NDCs as of October 28, 2011. – Updated ICD-9-CM Diagnosis Codes with 2011 changes (V10.9 updated with V10.90, V10.91). – Updated interacting anti-infective medications. – Added: kanamycin, dicloxacillin, amoxicillin, cloxacillin, oxytetracycline, peginterferon alfa-2b. – Removed: miconazole, cefazolin, ceftriaxone. – Updated NDCs as of October 31, 2012. – See Codes Table attachment for NDC Updates and ICD-9-CM to ICD-10-CM Crosswalk. – Modified age requirement to at least 18 years of age as of the beginning of the measurement period. – Updated NDCs as of November 6, 2013. – Added: miconazole, amoxicillin/clavulanic acid, and isoniazid. – Removed: kanamycin, amprenavir, cloxacillin, drotrecogin alfa, and peginterferon alfa-2b. – Removed the denominator exclusion of Individuals with a diagnosis of cancer. – Physician group attribution methodology has been removed from the measure logic section, since the measure is no longer recommended to be stratified by physician group.